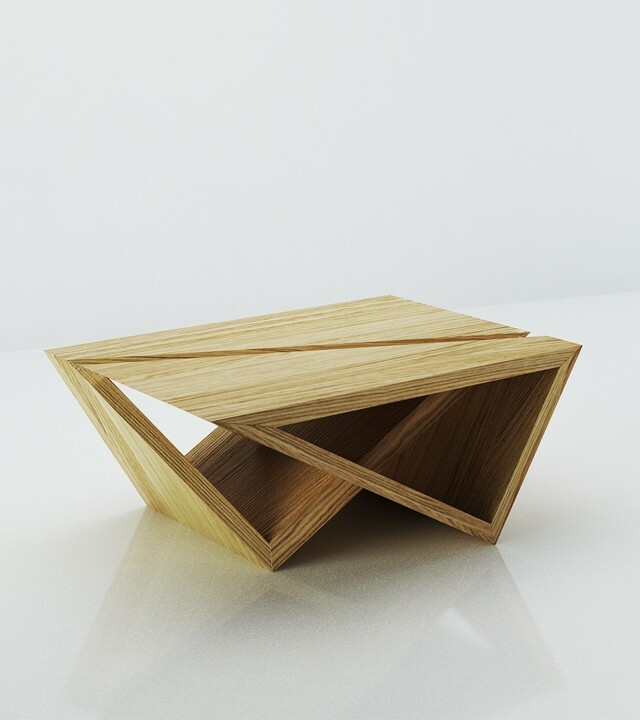 This table is composited by two identical triangular parts, which get into each other. The table can be coffee or bar type /low or tall/, depending of the way you assemble it. LEONEO design produce the table in different colors, also from different type of wood.